Women’s health has always been a top priority at all of Samitivej’s branches. We believe that our female patients deserve only the best when it comes to prevention, diagnosis and treatment of various breast conditions. To that end, we employ the latest available technological advancements to catch breast cancer in its earliest stages and help beat it back. 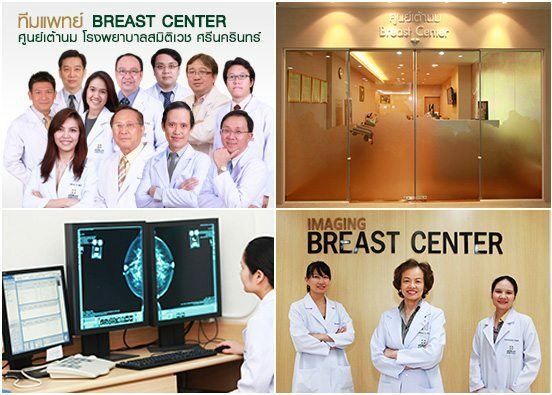 Our Breast Center is equipped with state-of-the-art mammography, ultrasound and Magnetic Resonance Imaging (MRI) equipment for regular check-ups, as well as the tools necessary to perform multiple types of biopsies for further investigation. The best equipment is useless though without the highly trained, deeply committed staff to use it. That’s why we at Samitivej employ only the best specialist physicians and nurses, all of whom have years of experience, often both internationally and in Thailand. Our team is committed to maintaining the same level of JCI-accredited excellence that has made Samitivej a leader in women’s health.